IT WAS not that long ago that Bruneians’ mouths were red from chewing their ‘sireh pinang’, which a mixture of ‘sireh’ leaf mixed with tobacco, slaked lime and areca nut. 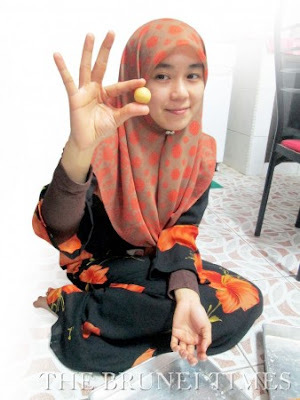 It was a common practice, not just among Bruneians, but throughout the region to chew a mixture of pinang or betel nut, lime and gambier wrapped in a ‘sireh’ leaf, a practice that apparently dates back to more than 10,000 years ago. One usually applies a thin layer of lime paste over a ‘sireh’ leaf together with a slice or a sprinkle of the gambier and thin slices of betel nut or palm or also areca nut. The ‘sireh’ leaf is then folded into a small square and then chewed. Chewing the leaf will give the chewer a slight narcotic effect despite its bitter taste, and stain the mouth red. It was also customary politeness to offer the ‘sireh’ together with the condiments in a ‘tipa’ or the ‘tepak sireh’ or in a ‘celapa’. The ‘sireh’ leaf, or better known as the betel (Piper betle), is the leaf of a vine belonging to the Piperaceae family, which includes pepper and kava. It is valued both as a mild stimulant and for its medicinal properties. The betel nut or the areca nut is the seed of the areca palm (Areca catechu), which grows in much of the tropical Pacific, Asia, and parts of east Africa. It is commonly referred to as betel nut because of its use – chewed wrapped in betel leaves. The term areca originated from a South Asian word during the 16th century, when Dutch and Portuguese sailors took the nut to Europe. Treacher (1891) reminded that the nut is the produce of a graceful and slender palm, which flourishes under cultivation in all Malayan countries and is called ‘pinang’ by Malays. The areca nut is not a true nut. It is commercially available in dried, cured and fresh forms. When the husk of the fresh fruit is green, the nut inside is soft enough to be cut with a typical knife. In the ripe fruit, the husk becomes yellow or orange and, as it dries, the fruit inside hardens to a wood-like consistency. At that stage, the areca nut can only be sliced using a special scissors-like cutter, known as the ‘Kacip’ or ‘Kalakati’ in Brunei. The cutter is called ‘Khilikaati’ in one Indian language, the Odia, which sounds similar to what it is called in Brunei. The ‘sireh’ leaf and the betel nut are natural ingredients which can be picked from their plants. However, the slaked lime paste has to be made. In Malay, lime is known as ‘kapur’, which is also translated as chalk because of its colour and texture. In this region, the paste is actually made by heating seashells until they turned white, crush them and add a bit of water. Whereas ‘gambir’ is actually made from the gambier resin, which is made from the leaves of a climbing vine plant ‘Uncaria Gambia’. 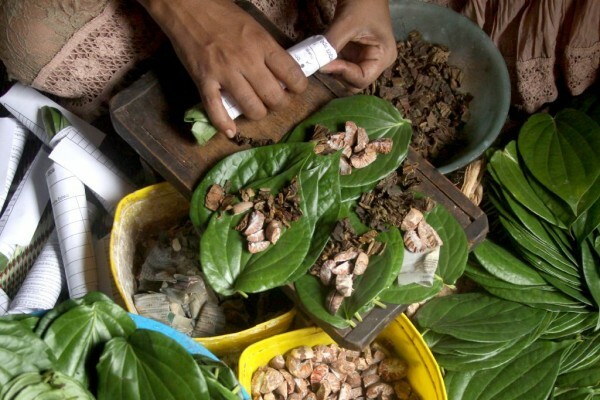 India was thought to be the source of betel chewing. 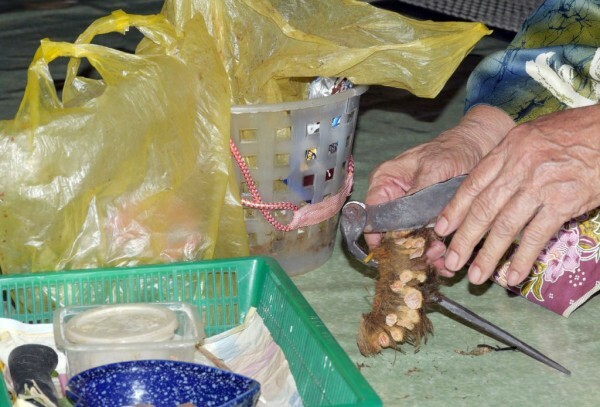 However Dawn Rooney (1993) noted that it was Thailand that had the earliest archaeological evidence, and even the Philippines has evidence that stretched back as far as 3,000 years ago, where skeletons bearing evidence of betel chewing have been found in the Duyong Caves. In Brunei, we can infer the ability to do wood and metal craft as the ability to make ‘celapa’ and the like, which points out to the sophisticated use of ‘sireh’ ceremony. 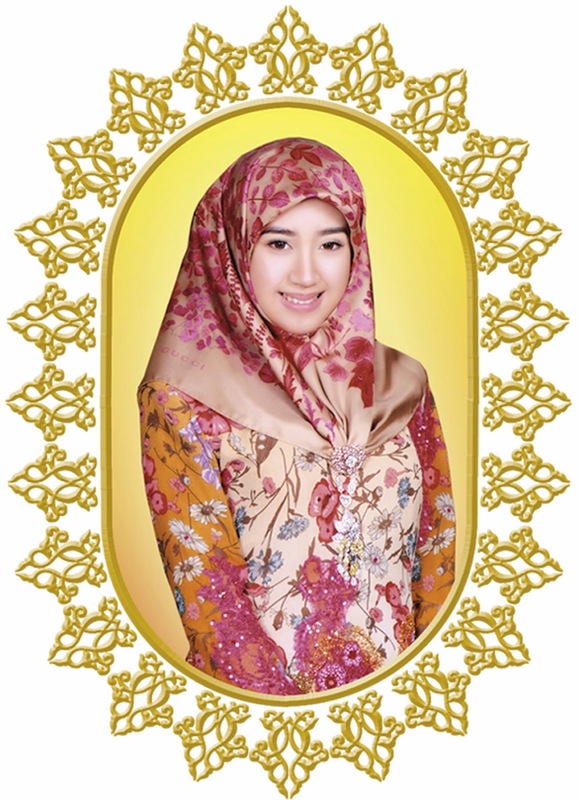 According to Dr Siti Nor Khalbi Wahsalfelah in her paper ‘Sejarah Sosio-Budaya Kraftangan di Brunei Darussalam: Barangan Logamdan Kain Tenunan’ (2014) and published in ‘Susurgalur: Jurnal Kajian Sejarah dan Pendidikan Sejarah’, even though it is not known when crafts skills were first used in Brunei, but they have definitely been practised by the 7th century. Many artefacts were found in the Kota Batu area in the 1950s, which when carbon dated go back as far as 800 years ago. Further evidences were found in 1999, in a small island off Kota Batu, where remnants from metal works were found as well as in Sungai Limau Manis, a city which is said to be fully functional at least 1,000 years ago. About 500 years ago, during Magellan’s efforts to go round the world, the chronicler on board, Pifagetta(1522), noted that when the Magellan’s crew arrived in Brunei, they were served ‘a painted wooden vessel full of betel leaves and areca’ which meant that serving betel leaves and betelnuts was already established as part of the ceremony to welcome visitors. According to Khir Johari, in an article entitled ‘A Introduction to the Use of Sirih in Malay Culture’ in Singapore’s Passage Magazine” (2013), the meaning of chewing ‘sireh’ and areca in Malay culture lies in the characteristics of its ingredients. Thus, “the sirih represents humility and respectfulness, for the betel vine climbs up anything it can cling to and does so without disturbing its host. Since the areca palm is a tall, elegant tree with a straight trunk and promises a profusion of fruits, it epitomises honesty, high moral values and the determination to excel when given a task. Pure white slaked lime from shells, denotes pure-heartedness and sincerity, but when provoked it can be aggressive for such is the nature of calcium hydroxide – useful in small quantities, but too much is caustic! To obtain the gambier lozenges, the leaves of the gambier tree are first boiled to extract the resin. After an arduous process of reduction, the paste is made into small medallions that require days of drying. The gambier thus represents perseverance, patience and hard work. 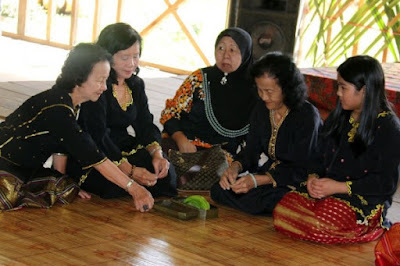 Hence, to the Malay forefathers, every quid of sirih was a reminder of what it takes to be a person, to be human”. In addition, we can also add that the ‘celapa’ as the container or vessel to keep all the ‘sireh’ and its condiments also symbolises Brunei’s tradition and culture.